Applications are now closed for the 2015 Art + Science Fellowship. We’ll be announcing our Fellows and the projects they’ll be working on very soon. Meanwhile, check out “Mysterious Black”, former Stanford undergrad Kevin Chow’s blog post about his research project at the conservation lab. 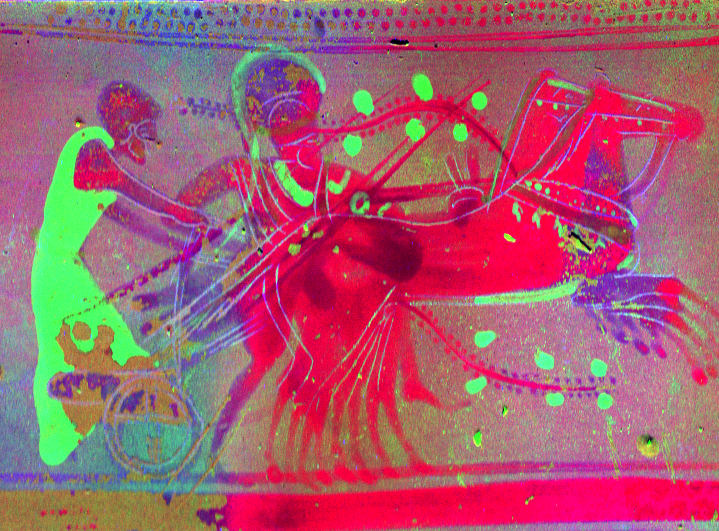 X-Ray fluorescence Map of the surface of an Athenian pot. Green corresponds to calcium, red to iron, and blue to zinc. Image by Kevin Chow. Thanks for everyone’s interest in the program!